FACT CHECK: Is Sean Spicer Wearing Mismatched Shoes? Is Sean Spicer Wearing Mismatched Shoes? 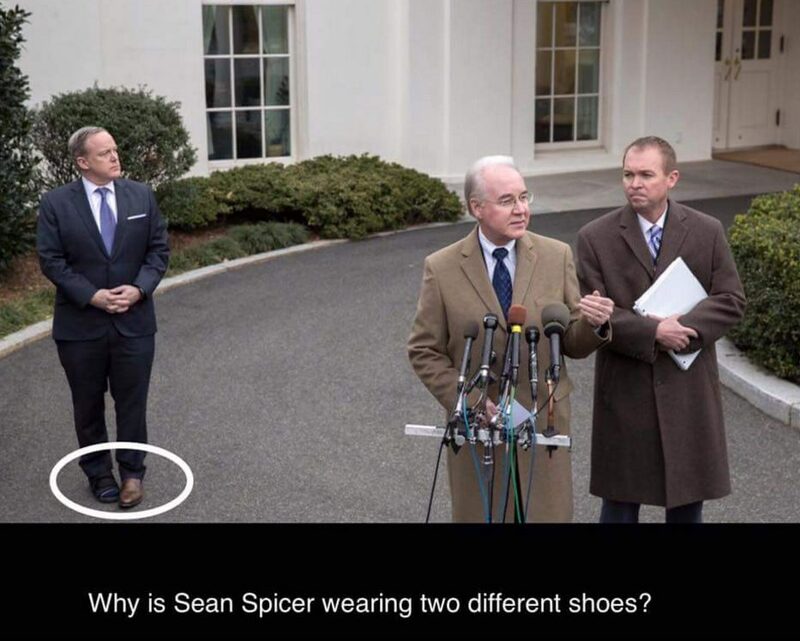 A photograph showing the White House press secretary wearing two different types of footwear is real, but the oddity appears to serve a medical purpose rather than an avant-garde fashion choice. 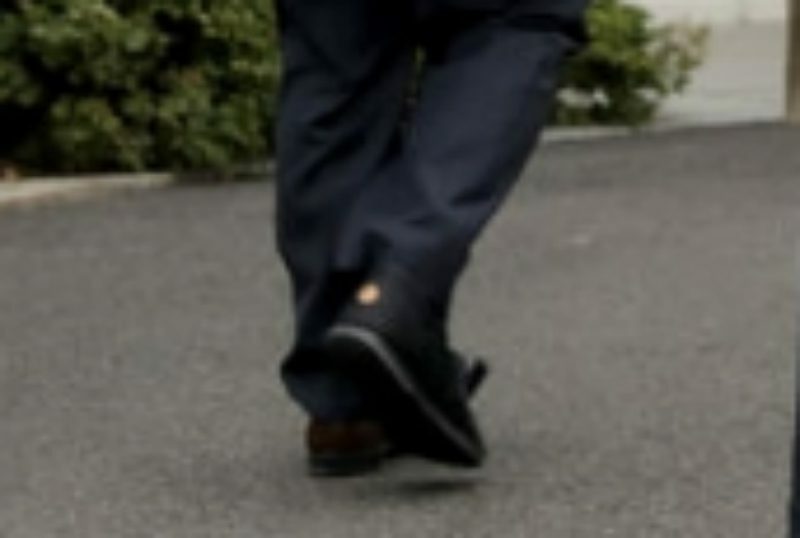 A photograph shows Sean Spicer wearing one black shoe and one brown shoe. On 13 March 2017, White House Press Secretary Sean Spicer accompanied Health and Human Services Secretary Tom Price and Office of Management and Budget Director Mick Mulvaney as they met with reporters to discuss the Congressional Budget Office’s analysis of the American Health Care Act. Sean Spicer did not respond to our request for comment. The New York Times. 13 March 2017.